Franklin Graham is known for saying controversial things, but the other day he said something that wasn’t very controversial at all. He said that God has blessed the United States of America more than any other nation on earth. This concept isn’t unique to Graham– I’ve heard it said a thousand and one times in my life. The idea that America is somehow God’s favorite, that America is the place God has blessed more than anywhere else, is widely accepted in Americanized Christianity. But here’s the question: Is it true? . . . has God blessed us more than anyone else? Are we somehow God’s favorite? Surely, the United States has enjoyed great wealth and prosperity– but this alone is not evidence of God’s blessing. In fact, to associate blessing with material wealth is to completely miss the New Testament concept of blessing. Certainly, in the Old Testament blessing was often associated with prosperity, but in the New Testament, instead of wealth and prosperity, blessing has connotations more in line with a state of happiness and contentment that comes from living out the teachings of Jesus. However, even if an abundance of wealth were part of God’s blessing, it is completely possible to have an abundance of wealth and not be blessed by God. Yes, the United States is wealthy, but it is wealthy for a good reason: since its inception, American wealth and prosperity has been at the expense of… well, everyone who’s not white. The nation was born on stolen land, genocide, and slavery– realities that directly relate to our prosperity as a nation. We cannot divorce our wealth from the genesis of it all– one that was rooted in rebellion against God instead of Christian living. Thus, our prosperity has nothing to do with God’s blessing, unless God’s “blessing” for us is really, really, bad news for a whole lot of others. 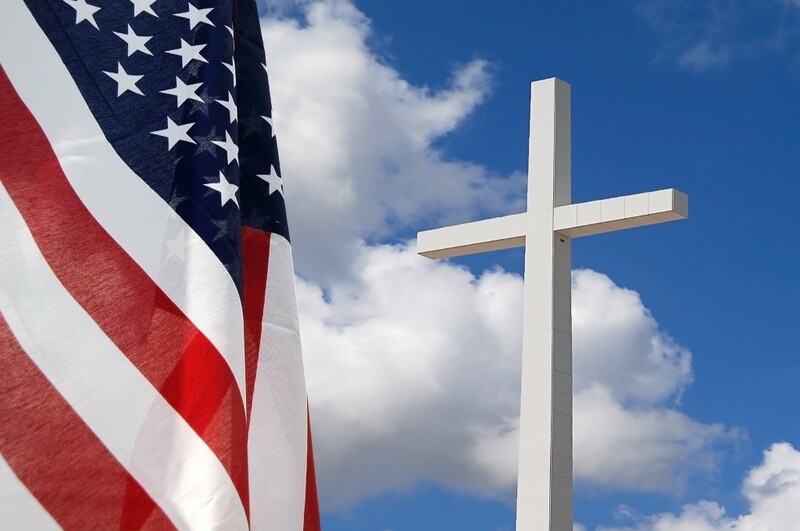 While both the OT and NT concepts of God’s blessing fail to describe America, the idea that God has “blessed America more than any other nation” really fails in light of the biblical truth that God doesn’t play favorites that way. In fact, it’s one of the major messages of the New Testament. When Jesus came on the scene of world history, Israel had a long history of thinking they were the bees-knees when it came to God’s favorites. Jesus’ first public speech actually ended in an assassination attempt, and one of those reasons was because he hinted to the fact that God’s “favorites” would be the very people who rejected him and denied him honor. Further along in his ministry, Jesus very specifically commands his followers to love and bless everyone equally. The reason Jesus gives for this is simple: because that’s what God does. To claim that God has blessed America more than any nation on earth is the height of arrogance and biblical illiteracy. Viewing one’s self, one’s people, or one’s nation as being more favored by God is a destructive and toxic belief– one that Jesus came to deliver us from. Instead of thinking we’re the greatest because God blesses America more than everyone else, we are invited to have the experience of Peter in Acts. So, no. God doesn’t bless America more than any other nation on earth– and that’swhat Franklin Graham is wrong about today. And, yes, I view Franklin Graham as a truly horrible person who is little better than a hate monger who preys on the ignorant and bigoted. He is, in short, a false Christian and resembles the Pharisees of the New Testament.